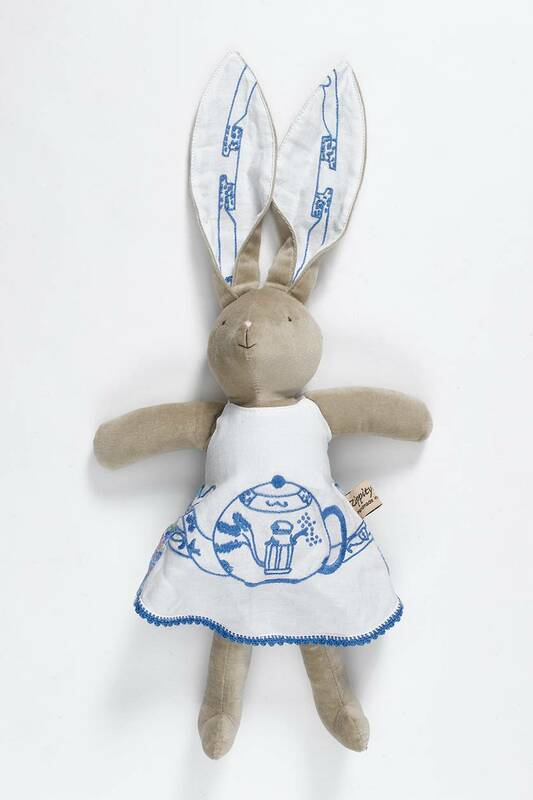 Tilly bunny loves tea parties with sweet peppermint tea, fluffy freshly baked scones and melting butter. When she's not hosting tea parties she is usually looking for vintage blue and white china to add to her collection of teacups, plates and saucers. 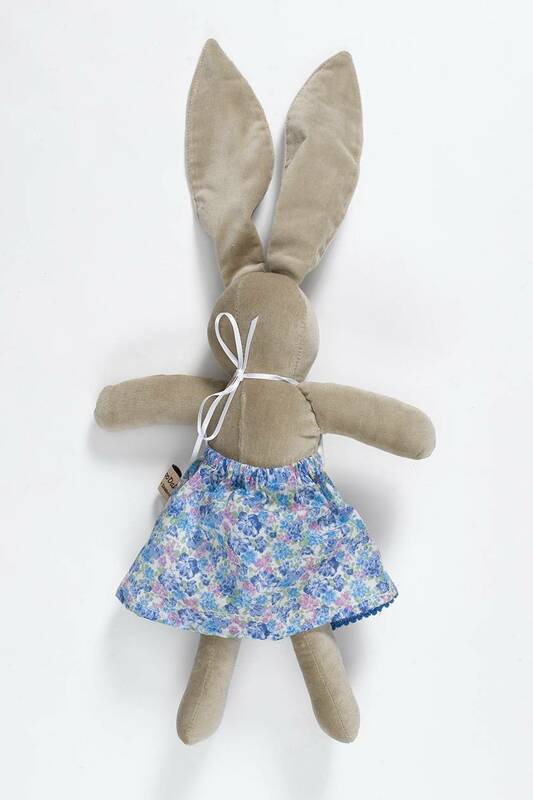 Tilly Bunny wears a little dress with a beautiful embroidered vintage teapot across the front, the colours are classic blue and white, the back her dress is printed cotton fabric with tiny flowers in shades or blue and lilac with green flowers.